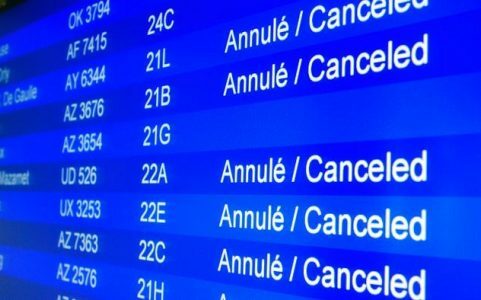 British Airways, Easyjet and Ryanair have all today (June 23) cancelled flights and warned of delays in France due to a national strike by French air traffic control unions. The strike will have an impact on flights to and from French airports, as well as those flying in French airspace. Ryanair, which has renewed calls for government intervention, cancelled more than 50 flights, including service from Newcastle to Malaga and Stansted to Madrid. British Airways has cancelled around 30 flights to a range of destinations in southern Europe – mainly to and from Barcelona and Madrid, but also links to Rome and Venice. Among the easyJet cancellations are services from Gatwick to Milan, Marseille and Nantes. Passengers who will be traveling in the country today are advised to check their flight status in the event there may be further delays or cancellations. (Buying Business Travel, The Independent).